After playing pivotal roles in the program’s run to the 2019 NEPSAC-AAA Championship, Greg Dolan and Cam Krystkowiak will now strengthen another Northfield-Mt Hermon tradition. 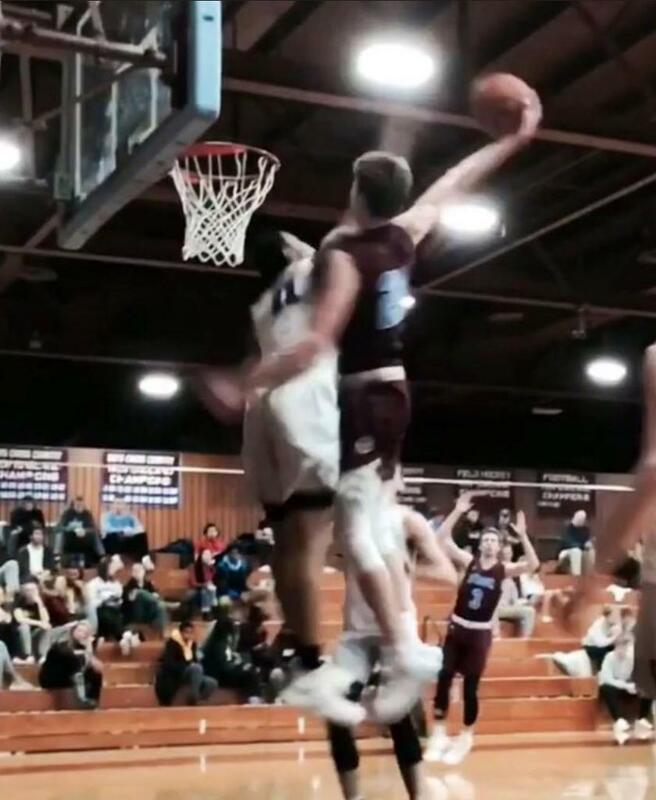 Both have committed to play their college ball at Ivy League programs, where they will be joined by at least eight of their NMH brethren within the conference next season. 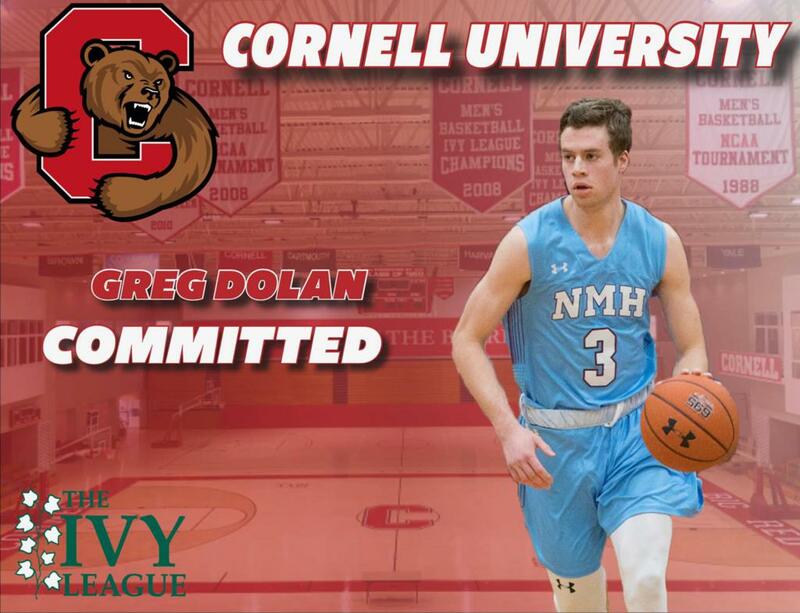 Dolan committed to Cornell last week, after averaging 12.5 points, 5.8 assists, 4.6 rebounds, 2.3 steals and being named 3rd Team All-New England selection, for a team that finished 32-6 on the season. Dolan’s ability to process information quickly, change speeds and knock down shots from the perimeter will allow him to contribute right away at Cornell. He joins fellow New England products Jordan Jones (Exeter) and Marcus Filien (Phillips-Andover) in Cornell’s 2019 recruit class. Krystkowiak chose to stay in New England, ultimately picking Dartmouth over Utah and UMass. As a 6’10” wing, with the ability to knock down shots from the perimeter and operate as a grab-&-go rebounder on occasion, Krystkowiak owns one of the higher ceilings in the region’s 2019 class. The perception that it would be tough to lure him away from the Utah, where his father Larry is the head coach, played a role in some programs not committing a ton of time and resources into recruiting the talented sniper. At the end of the day, it’s going to be a decision that they regret. Krystkowiak averaged 8 points, 5 rebounds and 1.5 assists per game during his post-grad season but showed glimpses of his emerging athleticism and an ability to comfortably handle the ball in the open court. 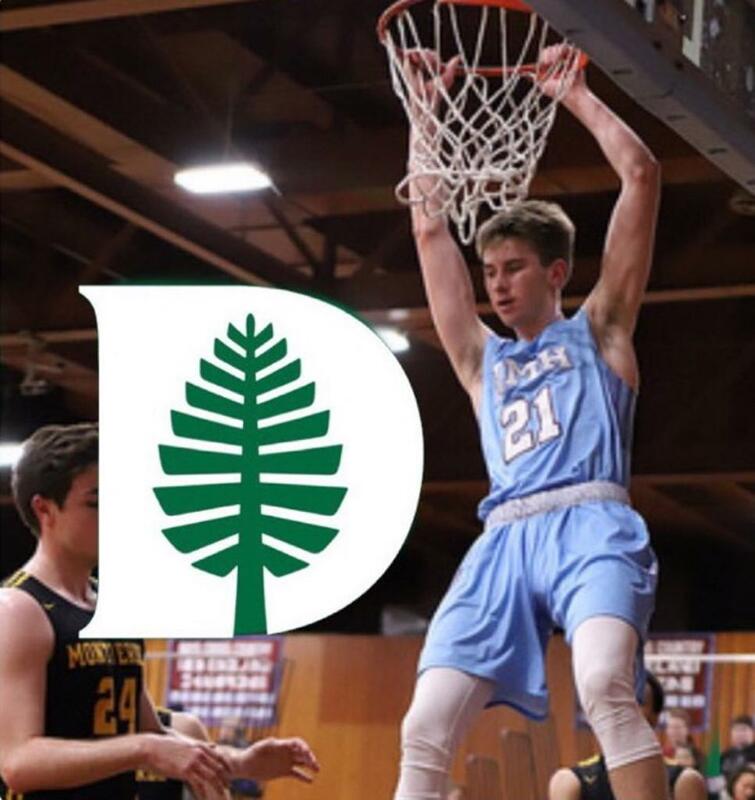 Krystkowiak’s season-highs of 22 points (vs NY International Academy), 16 rebounds and 5 assists (both coming during NMH’s Holiday trip to Belgium) are signs of how dynamic the young man can become once he defines a role with the Dartmouth program. He’ll join fellow NMH grad Ian Sistare ’16 on the program’s ’19-’20 roster. During the ’18-’19 colllege hoops season, there were eight Northfield-Mt Hermon alums scattered across The Ivy League’s 8 rosters. The only states that produced more Ivy League players were California (21), New Jersey (11) and New York (10). NMH will close that gap next season. Dolan and Krystkowiak will be joined in The Ivy League by NMH-alums Lorca (Penn), Chris Ledlum (Harvard), Noah Kirkwood (Harvard), AJ Brodeur (Penn) Ian Sistare (Dartmouth), Jerome Desrosiers (Princeton), Matt DeWolf (Brown) and Davis Franks (Brown). Both players appreciate the short- and long-term benefits of their decision. While NMH's Ivy League pipeline was further fortified by the commitments of Dolan and Krystkowiak, the two biggest winners in this situation are Cornell and Dartmouth. Both programs secure players who are prepared to produce early-&-often in ’19-’20 but also have the potential to be building blocks for their programs in the future. ©2019 The Hoop Hustle / SportsEngine. All Rights Reserved.